Skin camouflage is the application of special cover creams to improve the appearance of scarring and other disfiguring skin conditions. How can skin camouflage cream help? Are the creams for women only? No, the creams are not make-up; they are used to conceal only the blemish and are appropriate for men, women and children. They can be used in any area of the body. How do I find the right cream for me? At an Irish Red Cross skin camouflage clinic a trained volunteer selects the best colour match for the individual’s natural skin tone. Once the colour match has been found the individual is shown how to apply the cream. To make the cream waterproof and long lasting you will also be shown how to use a specialised setting powder. Where do I get the cream? The majority of creams and setting powders are available in Ireland or in the UK by online or mail order. The volunteer in the clinic will advise you on where best to get your cream and powder and on the cost of the creams. The creams would be expected to last between six months and two years depending on the area to be camouflaged and the frequency of use. 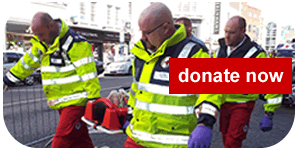 An appointment is free of charge, although the Irish Red Cross is grateful for donations to support the service. Please contact us. A referral letter from your doctor, dermatology consultant or nurse will be required when you attend your appointment. Please note that volunteer practitioners and specialist nurses deliver the service. Not attending an appointment adds to waiting lists for the service and misuses volunteers’ time.